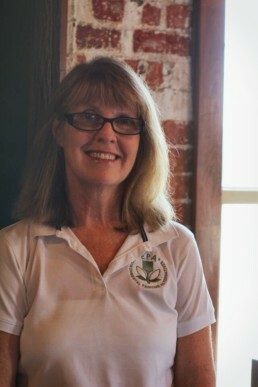 Nancy Couch is the President and CEO of Environmental Painting Alternatives. She has been the active and tireless leader in this company from the beginning. Nancy has helped mold EPA into a company that is centered around broad, unifying themes of family and responsibility. If you ask Nancy, the ability to incorporate family in her career has been one of the greatest joys in her life, as she has watched 3 of her sons contribute significantly to EPA in various capacities. Nancy wants to expand the idea of “Environmentally-Sound Painting” nationwide to beautify and restore our captivating world, simultaneously. As a family owned business, EPA has flourished with Nancy at the helm. Even through such difficulties as the 2008 recession and family health problems, when many businesses would elect to cut corners and costs to stay afloat, Nancy remained committed to leading EPA by responsible example and choosing not to cut corners. Instead she chose to combat problems by investing in products and processes that make our community and environment safer and cleaner. Today, Nancy continues to further the vision of EPA through her never-ending service to the Central Florida community. It’s through her leadership that EPA has built a strong reputation that goes beyond its’ superior workmanship, but is also a company whose reputation embodies integrity, servanthood, and environmentally-sound practices!